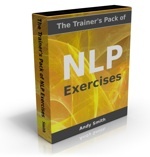 In episodes 35, 36, and 37 of the Practical NLP Podcast we learned the Meta Model questions for getting more specific and for, if you will, ‘challenging’ vagueness. Now it’s time to go the other way – communicating at higher levels, vaguer, more abstract levels of the Hierarchy of Ideas so that you can communicate directly with your listener’s unconscious mind, as well as their conscious minds – and influence them at the unconscious level. The set of language patterns we’re going to use to do this is called the Milton Model, because Richard Bandler and John Grinder modelled them from the great 20th Century hypnotherapist Milton Erickson, the father of indirect suggestion. Well – here’s the thing: whatever area of business you’re in, and whatever your job role, you can actually learn a lot from a therapist, especially a hypnotherapist, because there’s one thing that therapists are very good at – if they know what they are doing. And that one thing is: influencing people to change their behaviour. When you get down to it, that’s what a therapist does. When I was a hypnotherapist, people came to me wanting one thing – to change their behaviour, and change it fast. Whether that behaviour was smoking, or eating too much, or unwanted emotional responses like phobias, they all wanted to change their behaviour. So if you want to influence people in any way – to get them to buy your product or service, or to motivate your team, or influence your employer to see that you’re ready to move up to the next level, or even if you are a parent and you’re telling stories to get your kids to go to sleep, and you want to do this effectively, rather than the hard way of doing it all through their conscious minds, you need to know about this stuff. Another question that may occur to you is: is it ethical to influence people through their unconscious minds? Can I actually do this, especially in business? I’ve got news for you – you’re already doing it. Everyone uses these patterns all the time – but most people don’t know they’re doing it, so they get unpredictable results and don’t realise the effects they’re having. How can that be? Understand this: you cannot not communicate. I’ll say it again, because it’s important: you cannot not communicate. Everything you say is communicating. In fact you could even say that everything you say is a hypnotic suggestion, to the extent that it structures and sequences internal representations in the listener’s mind. Even if you don’t say anything, that’s still a communication – imagine if you held a meeting with someone and then didn’t say a word throughout. So people who don’t know about Milton Model patterns are like unskilled amateur hypnotists, influencing people and placing suggestions in their minds by accident without realising it, quite often influencing their listeners or readers in unhelpful directions. You don’t have a choice about whether you communicate or influence people, so it’s worth knowing the Milton Model patterns so you can influence people with intention and know what you are doing. So what is the Milton Model, and what’s so special about it? When Richard Bandler and John Grinder discovered the Meta Model, they thought they’d found the holy grail of changework. Questions you can ask that get people to see how their distortions, deletions and generalisations match up with the specifics of their actual experience? Wouldn’t that be fantastic? Then they went to see Erickson and observed him working with people, and they were into a whole different way of looking at the world. 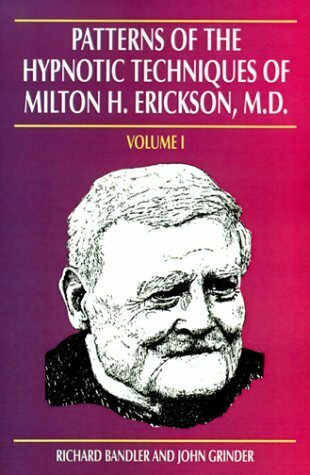 Instead of asking questions to get his clients to be more specific, Erickson was deliberately using vague language to take his clients off into trance! He was actually using language patterns that the Meta Model classed as ‘violations’ – and the clients were benefiting! What he was doing, at a very big-chunk level, was using artfully or precisely vague language to get his clients unconscious minds to access their inner resources. The unconscious mind decided the specifics of what those resources were, because Milton believed that your unconscious mind knows best what’s right for you, even if it sometimes needs a bit of help to find that knowledge. Here’s the thing: if you ever want to change the way people feel, or influence them in any way, even if it’s just getting your kids to calm down or cheer up a colleague, to the extent that you’ve had success in doing that, you’ve almost certainly been using some of the Milton Model patterns already, without realising it. If you want to convey your belief in someone who works for you or that you’re teaching, if you want to raise the morale of your team, if you want to paint a picture in a customer’s mind so they can see the possibilities, you’re going to find it hard to do that without using the Milton Model. And when you do use it, and practice it, with immediate results but getting better and better as you study it and master it, you will find that you become more effective at putting ideas across, and changing people’s minds, in a way that honours their values. You’re not controlling them – because, long-term at least, that just isn’t possible – you’re effectively communicating with them in a way that helps them to see the possibilities, become aware of the information they need, and achieve their outcomes in ways that dovetail with your outcomes and benefit both of you. So in the Meta Model we’ve seen distortions, generalisations and deletions in language patterns as signs of limitations and limiting beliefs. In the Milton Model we see how you can use those exact same patterns, just slotting in different content or different words, to help people get past their limitations, and to motivate and influence them in a particular direction that works for them.